Whooo are Whooo Wants Waffles? Residents of Chinoe Creek – you won't want to miss the traditional Belgian waffle tonight. 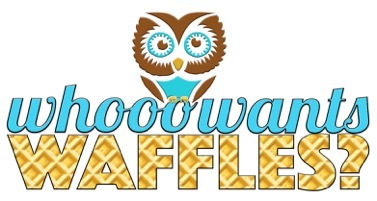 Whooo Wants Waffles features traditional Liege-style waffles made fresh from homemade dough and are available to be paired with a variety of toppings. The toppings featured are nutella, chocolate, peanut butter, bananas, strawberries, whipped cream and powdered sugar. Yum – my mouth is watering and my sweet tooth is hurting. Hope to see you all there tonight! Check out their menu here for details.